If you live in South Korea and have too much money laying around (don’t worry, that can be a common problem for us in the US, too! /s), LG announced a new device this week that can help you get rid of some. The LG Signature Edition, which is really just a tweaked V30, combines what’s essentially the best 2017 specs and a couple high-end options not yet common in smartphones. For example, instead of 64GB of built-in storage and 4GB RAM like the V30, the Signature Edition features 256GB of storage and 6GB RAM. Also, buyers will have Oreo shipped with the phone, instead of Nougat like the V30. If that isn’t enough to convince you, though, LG is also pairing the phone with two sets of B&O headphones (one wired, one wireless), just so you can take advantage of the Quad DAC. 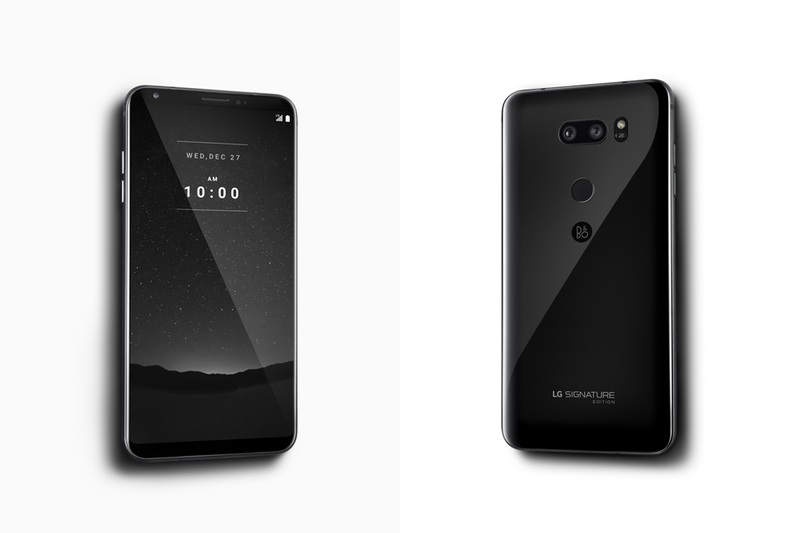 The Signature Edition has the same 6″ P-OLED FullVision display, rear-facing dual cameras, Snapdragon 835 processor, and 3300mAh battery as the LG V30. Now, because this phone is so darn fancy, LG is limiting the production run to just 300 devices. That makes this a very rare smartphone, with a price that matches it rarity. According to LG, the phone will be available for 2,000,000 South Korean Won. When converted, that’s $1828. Ouchies! Don’t worry, though, because LG says they will even engrave the device for you, so there’s that. As I stated, this device appears to be exclusive to residents of South Korea, so don’t go trying to import this beauty here to the US.